The new first-of-its-kind Cable Protection System smart sensor technology, currently under development in ABB’s Research & Development facility in Switzerland, will be designed to sense such problems as condensation or rising temperatures in the conduit that protects critical electrical cables. 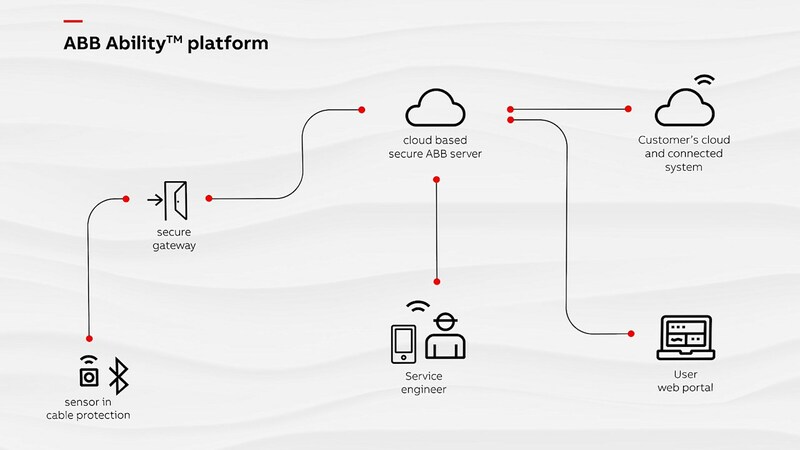 Using the analytical power and secure cloud-based communication of the ABB Ability™ platform, the system will remotely report and analyze data, allowing facility managers and engineers to keep tabs on their electrical cable protection through smart phones, laptops or other remote devices. ABB is already producing smart sensors for motors, pumps and mounted bearings, which effectively converts them into smart, wirelessly connected devices. In combination with those tools and the power of ABB Ability™, the new Cable Protection Systems (CPS) smart sensor technology will provide end-to-end real-time monitoring of a facility’s most crucial electrical components, a key characteristic of the smart factory of the future. The CPS sensors will attach easily to a conduit with minimal configuration. They will be designed to withstand the same pressures and harsh environments that the conduit itself must withstand, while requiring little or no maintenance of their own. ABB Ability™ is a digital offering designed to weave the threads of countless electronic inputs together to help humans more efficiently control the interconnected factories of the Fourth Industrial Revolution. The real-time monitoring provided by the ABB Ability™ smart sensor system will give managers the ability to decrease downtime by reducing the occurrence of unexpected electrical cable failures. And the ability to pinpoint components with potential problems could allow managers to replace or repair only the equipment that needs attention, rather than performing mass changeouts on preset schedules.